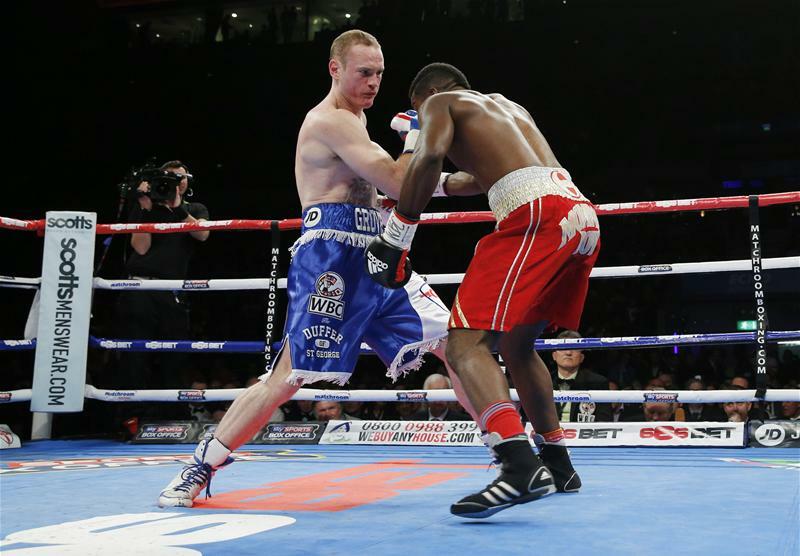 I have always liked George Groves. He is a bright, articulate and highly personable young man who goes out of his way to sell a show, which he did rather effectively in both his blockbusters with Carl Froch. Next Saturday he may well steal that show from Floyd Mayweather Jnr when he makes his third attempt to win a world super-middleweight title, the WBC version held by the exotically-monikered Badou Jack at the MGM Grand in Las Vegas. Badou Jack, born in Stockholm of a Swedish mother and Ghanaian father, and now domiciled in Sin City itself, may sound more like a Mississippi River Boat gambler than a boxing champ, but he his mentored by Mayweather and TBE does not mess around with mugs. The thing about Saint George is that he is never in a dull fight and this one seems set to outshine Mayweather’s professed farewell bow against hand-picked Andre Berto. ”I’m ready perform and steal the show,” Groves tells us from his training base at Big Bear in California, where he has been ensconced for six weeks. I think he is right and I also believe it will be third time lucky for the likeable Londoner who is set to follow bitter rival James DeGale, and Kell Brook by winning a world title on US soil. Mayweather v Berto / Groves v Jack is live on BoxNation next Saturday night. Visit boxnation.com to subscribe. Will Rod raise the roof? Tyson Fury, who fancies himself as a bit of a warbler, knows he needs to be on song if he has any chance of wresting several versions of the world heavyweight title from the mighty fists of Wladimir Klitschko in Dusseldorf next month. But the big Brit will be best advised not to pitch his dodgy vocal chords against those of the great Rod Stewart, who has been hired to serenade the crowd at the 54,000-capacity Esprit Arena. We wonder which numbers from his extensive repertoire Rod will choose. “The first cut is the deepest” could be tempting fate though if it pours down on an October night “Have you ever seen the rain?” might be appropriate. Fortunately the open air venue, home of Bundesliga’s Fortuna Dusseldorf, has a sliding roof. 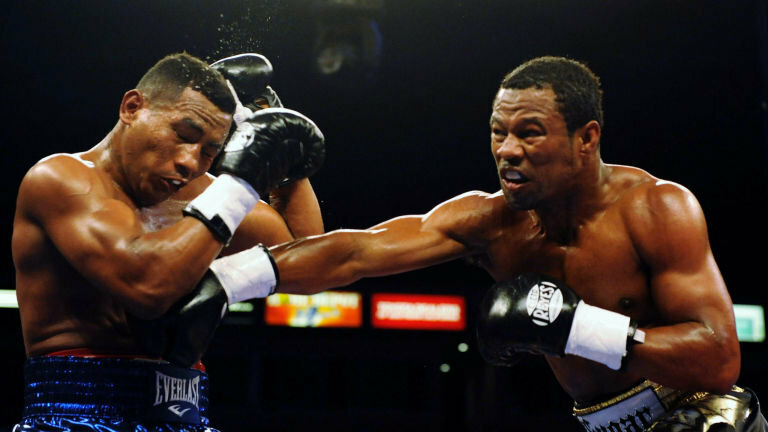 Back 2003 in Sugar” Shane Mosley admitted to a Grand Jury that he had injected himself with the doping agent EPO as he prepared for a fight against Oscar De La Hoya. His testimony was part of the BALCO Investigations involving the infamous sports drug pusher Victor Conte. Mosley escaped a ban because the WBC accepted his defence that he had not failed a drug test and did not know the substance was illegal. Fast forward 15 years to last weekend to the comeback fight by Mosley who turns 44 tomorrow (Monday) against Ricardo Mayorga in Los Angeles. Another Shane Mosley was due to be on the bill – middleweight son Shane Jnr was booked as supporting bout. But in an ironic twist he had been temporarily suspended for testing positive for banned amphetamines after knocking out Jason Kelly after 51 seconds at the Mandalay Bay in Las Vegas in June. Mosley Jr. faces a hearing in front of the Nevada commission, at which time he will be allowed to explain the test results. But he could be given an extended suspension and fined a portion of his $25,000 purse. The fighter claims it was simply an administrative error, and that he had forgotten to declare the substance which been prescribed by his doctor as he suffers from Attention Deficit Hyperactivity Disorder (ADHD). Which surely begs the question of whether he should be fighting with such a condition. Heavyweight Julian Pollard, who won a seven-round unanimous decision against Rodney Hernandez in the main event of the Mandalay bill is also under suspension for failing his drug test. He had he tested positive for the stimulant Methylhexaneamine. More worrying examples of how the use of drugs is becoming as prevalent in boxing as it already is in other major sports. Like many others I believe Anthony Joshua really could be the real deal – once we see what happens when he gets clocked on the chin or is taken more than three or four rounds. He needs to meet an opponent with both ammunition and ambition. Whether the 6ft 7in, 28-year-old Scot Gary Cornish (aka The Highlander) is that man remains to be seen when the Olympic champion goes for the Commonwealth title – his first major belt – at London’s O2 next Saturday. But I doubt it. Cornish’s unbeaten record of 21 successive wins has been achieved mainly against undistinguished opponents with unpronounceable names and one suspects Joshua’s own record of not being taken beyond a third round in any of his 13 professional fights will remain intact. As hopefully will his whiskers. It was London Mayor Boris Johnson when I chatted to him about his sporting interests. When I mentioned boxing, he told me he liked the sport but couldn’t name any top boxers. “I just love watching them biff each other,” he laughed. Apart from Bojo, boxing certainly has plenty of friends in high places. Lord Seb Coe, freshly-elected czar of world athletics, and, as I have said before, an ardent student and fan of the fight game, couldn’t resist a boxing analogy when asked about who is then greatest athlete of all time , Mo Farah or Usain Bolt…or himself. His lordship mused:”I feel as if I am in a 1960s, 70s time warp and the kind of conversation that was taking place in boxing at the time. You know, what happens after Muhammad Ali? Well after Muhammad Ali, Hagler happens, Hearns, Barrera and Sugar Ray, Leonard happen, then Mayweather. But what I will say is that that I doubt any sports personality, man or woman, has captured the public imagination and propelled the sport as Usain Bolt has.” So now we know. It is interesting how many sports figures, like Coe, have boxing as their ‘second preference.’ Prominent among them is Andy Murray, whose best pal outside tennis is Amir Khan, with whom he has sparred in Amir’s Bolton gym and taken tips on how to punch the ball more forcefully over the net. 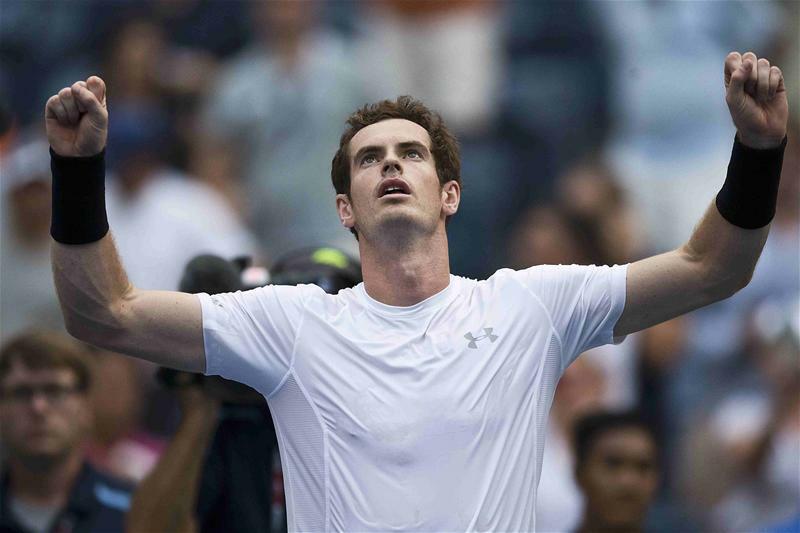 Actually, the umpire might well have called ‘Seconds Out’ rather than ’Play’ when former Wimbledon and Olympic champion Murray met Aussie Nick Kyrgios , the new ‘bad boy’ of tennis in the current US Open in New York. For both are pretty handy with their fists in a sport which calls its ultimate prize the Grand Slam. Kyrgios had prepared for the tournament at fellow Aussie Lleyton Hewitt’s training base in the Bahamas, spending much of the time working out in the permanent boxing ring. He also engaged in an impromptu bout with a member of his entourage. Not that it did much good for Nasty Nick, who in an earlier tournament tried to rile an opponent by suggesting that another player had ‘banged’ his girlfriend. Murray KO’d him in the first round. Floyd Mayweather Jnr on why he insists his upcoming fight against Andre Berto next Saturday really will be his final ring fling.